There is not question that people are living longer these days than ever before. However, not only are people living longer, they are able to live more active lifestyles that they could in years past. One of the reasons for this is because of operations like total knee replacements and total hip replacements. 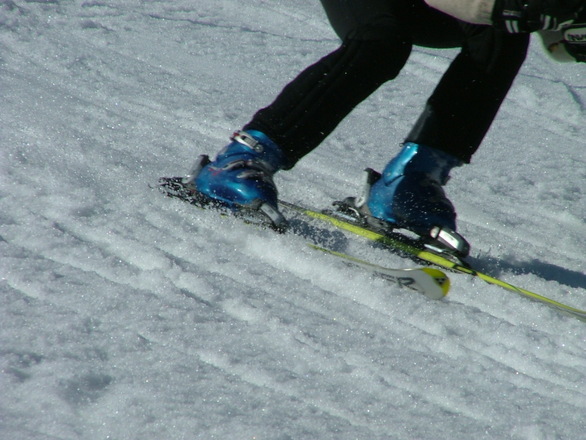 According to a recent news article from Fox, a 71-year-old man is back on the slopes following a total hip replacement surgery. He was retired and loved to ski. He would be out on the slopes every chance he could get. However, after many years of kayaking, skydiving, and running, has cause serious arthritis in his joints and this joint disease caused him a tremendous amount of pain and suffering as a result of his knee condition. As stop gap measure to keep the arthritis from getting worse, patient had several less invasive procedures on his knee including medical lubricant injections, minimally invasive corrective surgeries, taken over the counter and prescription pain and medication, but things only got worse of the years. Eventually, his doctor told that his best option might be a total knee replacement therapy. The idea of having a total knee replacement surgery is a scary undertaking for many patients. We are talking about the risks associated with any surgical procedure and general anesthesia, which is especially risk for older patients, and we are talking about a long painful recovery period. People who under go total knee replacement surgery will have to stay in the hospital before being transferred to a rehabilitation center. Rehabilitation can be outpatient, but for many is inpatient rehabilitation. Inpatient rehabilitation is not a lot of fun for anyone. This patient’s doctor said he does total knee replacement procedures for some patients who are very sick and can no longer walk. The ability to stay mobile for some of the patients may be the difference between life and death. he also performs knee surgery to those who want to live an athletic lifestyle, but not longer can due to advanced arthritis. This particular patient was not longer able to ski anymore that that was enough to have elective knee replacement surgery. In this patient’s case, he surgery went well, and his recovery went equally well. He has alleviated his knee pain, gotten his mobility back, and is back on the slopes whenever has time, as it the highlight of his retirement. However, this will not happen if the artificial knee device itself is defective as is the case with many different defectively designed artificial knees we have seen in recent years. One of the more problematic medical devices Boston knee replacement injury lawyers are seeing were defined by Stryker. Stryker is a one of the larger medical device manufactures and have sold many defectively designed artificial knees. If you are the victim of a defective medical device in Boston, call the Law Offices of Jeffrey S. Glassman for a free and confidential appointment — 1-888-367-2900.